Both Domino recording artists play tonight at The Slowdown. We’re doubling your pleasure with two sets of Q&As from two artists performing at The Slowdown tonight, April 5. Your Friend is Taryn Miller who plays warm, ethereal music that sounds like ambient shoe-gaze. If you wanted to put a genre label on her style, you could maybe lump it in with chillwave (along with Porches) thanks to its downtempo pop nature, though Miller’s music has more depth than that. 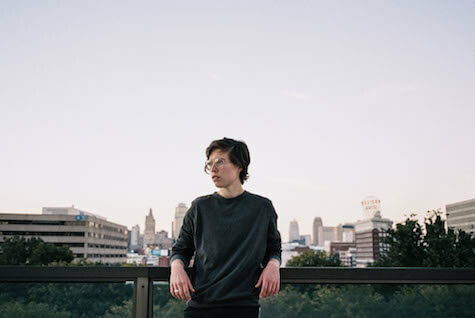 Living in Lawrence, Kansas, Miller toured with Courtney Barnett before recording her debut album, Gumption, released this past January on Domino. The 8-track collection features Miller’s cooing voice crooning tonally over a dense bed of synths and thick beats, creating music that sounds both lost and gorgeous. Your Friend: I don’t necessarily feel like I can ever truly answer that. I will say that Odessey and Oracle (by The Zombies) would be on a list of favorites though. I feel the same about this question but I can say that I don’t think I’ve ever been too excited about hearing that “What does the fox say,” song. The act of playing the songs physically. In any fashion, show setting and rehearsal alike. Feeling like I’m letting anyone down. I don’t have a favorite quite yet but I’m quite fond of our West Coast runs in general. Pittsburgh on our last tour was pretty rough. It was a newer venue and I remember not getting a soundcheck. I pushed myself too hard vocally that night and lost my voice during some point in the set. Day jobs. I’m comfortable with the idea of having one indefinitely. Haha! I’ve had a rigid desire to get into woodworking at some point. I don’t think I could be content working in a cubicle or similar setting. It would depend on the line of work. I’ve heard really good things about the art scene. I drove there solo once, on a whim once to see Daniel Johnston on one of his last tours. It’s a special memory in the archives. Porches is Aaron Maine, a NYC musician who recorded his debut full-length, Pool (2016, Domino), mostly in his Manhattan apartment before sending it to LA to be mixed by Chris Coady (Beach House, Grizzly Bear). The production is crisp with bouncing rhythms and glowing synths that sit beneath Maine’s bright vocals. The overall tone is mostly winsome and flowing like walking along a beach on a sunny day holding a big red balloon, while pop songs like the galloping “Hour” might actually get some Nebraska butts moving tonight. Maine also agreed to the Ten Questions inquisition. His thoughts below. In Detroit one band member was mugged and had passport stolen. Porches plays with Your Friend and Alex G Tuesday, April 5, at The Slowdown, 729 No. 14th St. Showtime is 8 p.m. Admission is $$12. For more information, visit theslowdown.com. Universal SolventIce Cream for a Cause, Ramen Takes a Pause.